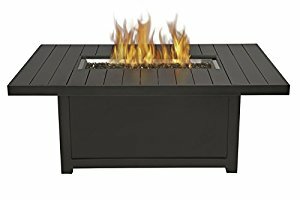 A firepit table adds the functionality of an entertainment centerpiece while being a beautiful focal point for gatherings with friends and family in any backyard. They come in a variety of styles, shapes, and fuel options. Fire pit tables normally need a lot of space. However, it is a stylish and luxury way to entertain family and friends in the outdoors. They are available in many styles, shapes, and sizes; there’s a one of a kind product for every taste. This wonderful outdoor addition can be built with stone or can be a large metallic table frame with a fire bowl set in the middle. 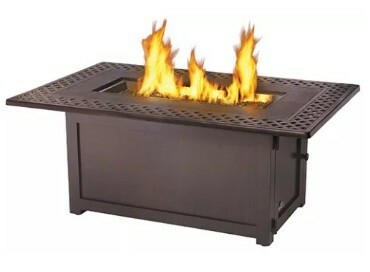 If you are looking for the best fire pit tables on the market, we highly recommend Napoleon Fire Tables. This model features a classic, linear design that makes it a fantastic addition to your outdoor living space. You can match this unit with any outdoor décor. The GPFTS48BZ model comes with glittering glass, reflecting flames that make it a comfortable, functional addition to any backyard. This rectangular piece of furniture will surely be the focal point for family outdoor events or gatherings. The propane or natural gas Kensington Square Patioflame® Table brings luxury and warmth to your outdoor space. 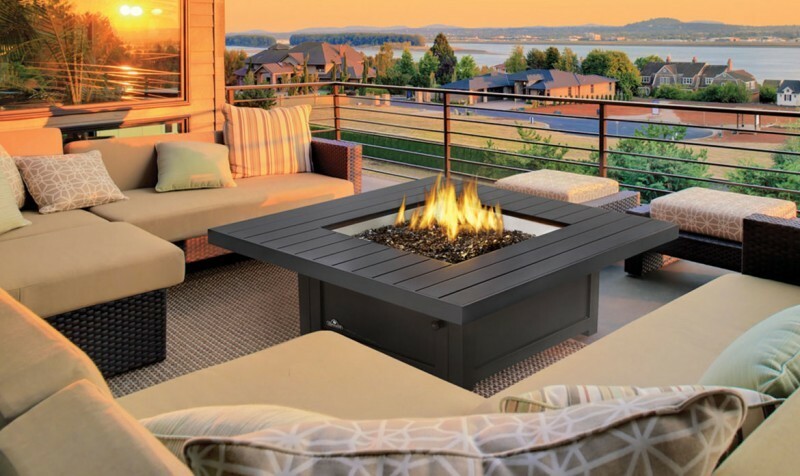 Friends and family can gather around this beautiful and stylish type of outdoor firepit table. Stay tuned for more high-quality firepit table models. If you need hearth products for your home, do not hesitate to contact Hi-Tech Appliance. We carry the best outdoor appliance brands in the area.